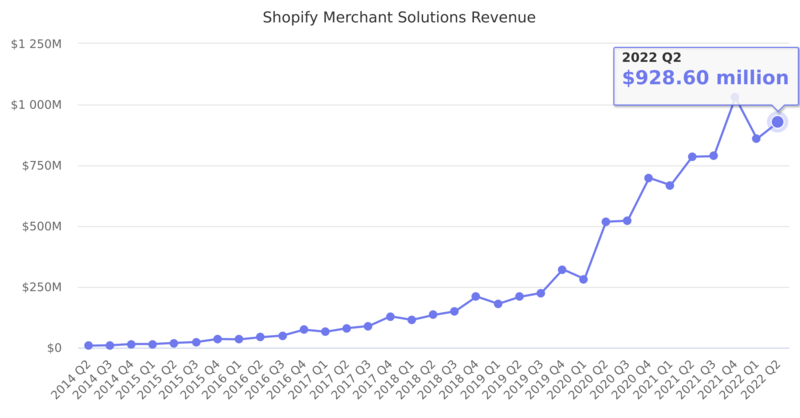 Revenues from payment processing fees from Shopify Payments, transaction fees, referral fees from partners and sales of POS hardware. Last reported quarter 2018 Q4 it was $210.30 million, up by 63% year-over-year from $128.90 million. From $363.28 million in 2017 it increased by 67% to $608.10 million in 2018.